The common term ‘sedge’ originates from the fact that adult Caddis flies can often be seen clinging to sedge grass near the waters edge. The Sedge/Caddis fly has four wings, the forward pair are usually a little longer than those at the rear. When at rest their wings lie close along the body in an inverted V shape. Caddis flies do not have tails but some species have long antenna. The Silver Sedge Trout Fly is one of those traditional trout flies that has stood the test of time. 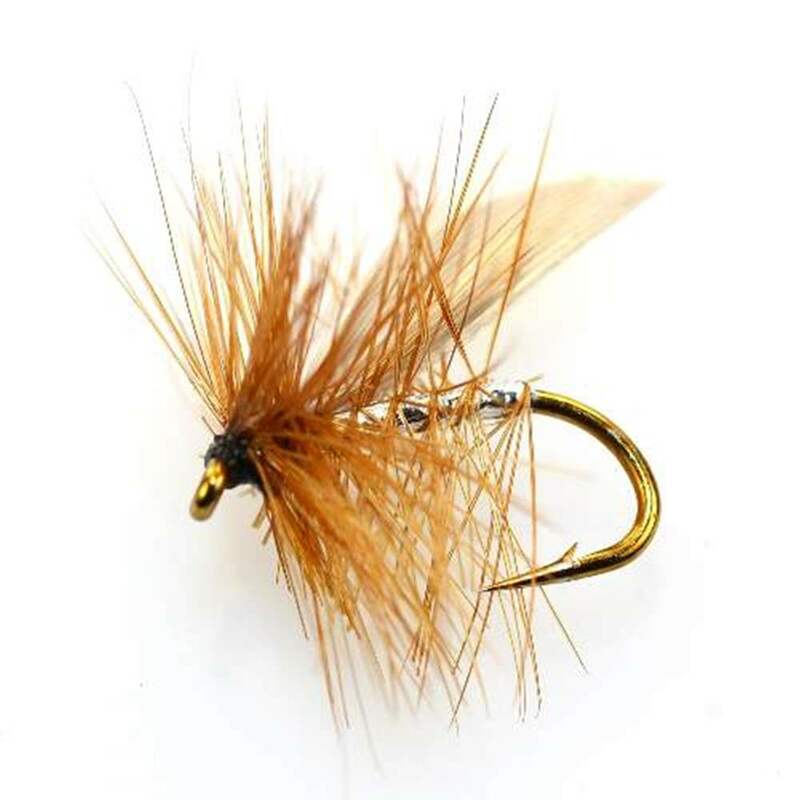 The Silver Sedge is a good imitation of the many small, light coloured sedges of summer and serves as an excellent sedge pattern for river fishing.